Model tower using casts from a single HA mould. The front view of the complete model. The left side of the complete model. The back of the complete model. The right side of the complete model An overview of the complete model showing the roof. Front view with top layer removed. Front left view of tower with top layer removed. Back right view of tower with top layer removed Front view of bottom layer only. Close-up of the MU from front left of the building. Close-up shot of the MU from behind. Close-up shot showing the MU from the front of the building. 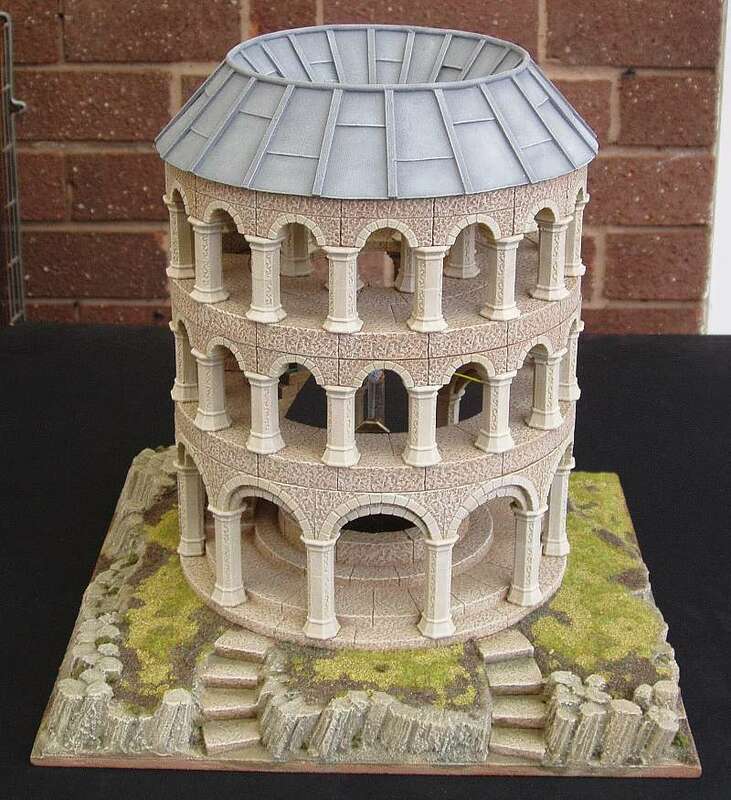 A model created using blocks cast from the 'Ruined Tower' mould #65, as an entry for HADD7 single mould category. The base is carved from expanded polystyrene foam which was then smeared with filler before painting and flocking. The roof is cereal box with basswood ribs added.